While trying to install Microsoft .Net Framework 4.7.2 in Windows Update, you may encounter a fatal error 643 (0x80070643) where the update fails and a server reboot results in the same error. Unfortunately this error dates all the way back to .Net Framework 1.x, so it could happen to any version. 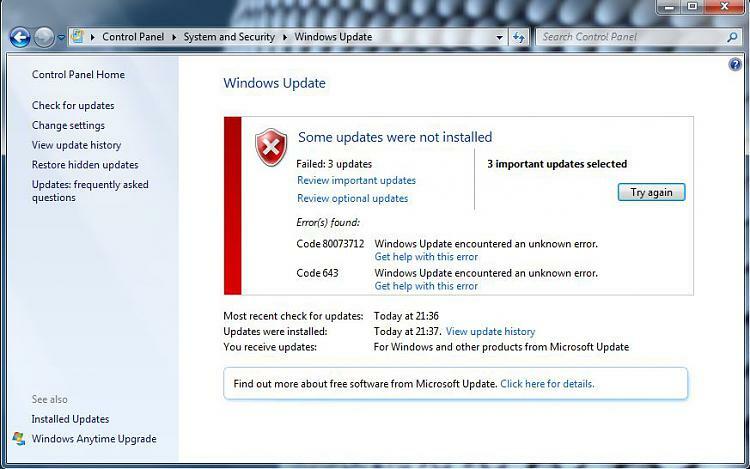 You could try the Fix Windows Update Errors Tool from Microsoft, but it probably won’t do much. Microsoft also offers a .Net Framework Repair Tool that you can try. The first option to try is to download the full offline installer of the .Net Framework you’re trying to install. As of this article, it is .Net Framwork 4.7.2. If the issue is because of Windows Update, then the offline installer might work. When I ran into this issue, the offline installer worked when Windows Update failed. I got the same problem. Still having the problem, after i tryed your methode windows installed .Net 4.7.2 and at 100% it stoped and showed me an error message, the same as you got. Still looking for an working workaround. It seems the probleme is still a bigger issue than moste of us think. I even tryed to unistall previews version of .net which didn’t work as well. I Hope i will soon finde a workaround cause this problem is bondet to 5-7 Servers in our Network. I was suffering the same problems. I had to reinstall windows itself due to problems with user control system. Result: Some installations were corrupted – including the .Net-Framework. Reinstallation would not work with the windows update nor going through your steps. registry keys were fine and reseting that folder had no impact. What just helped for me – thank god – was to download the manual .Net-Installer and to first remove 4.7.2 installation and then to reinstall it. © 2019 tecklyfe.com - All rights reserved.